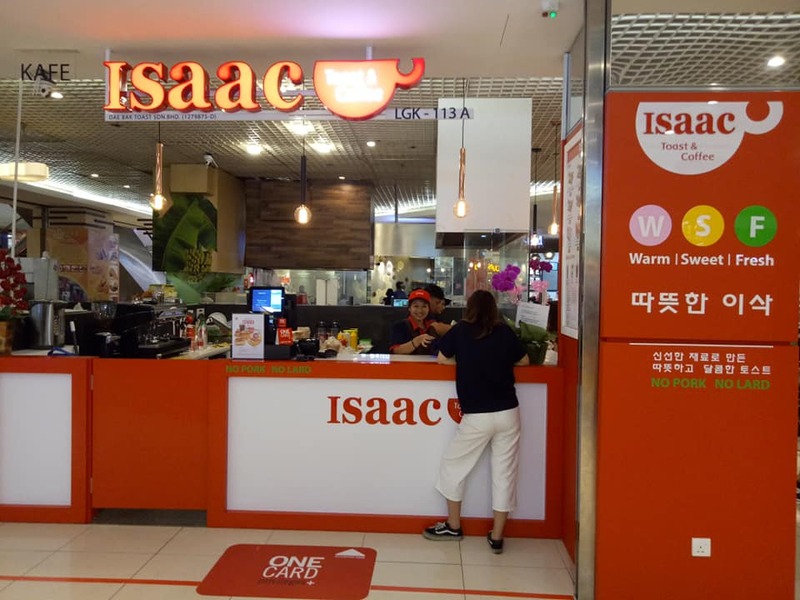 Good news to people in Klang Valley, Isaac Toast & Coffee is now available at 1 Utama Shopping Centre! We don't need to travel to KLIA2 or Paradigm Mall Johor Bahru to taste the delicious toast anymore. 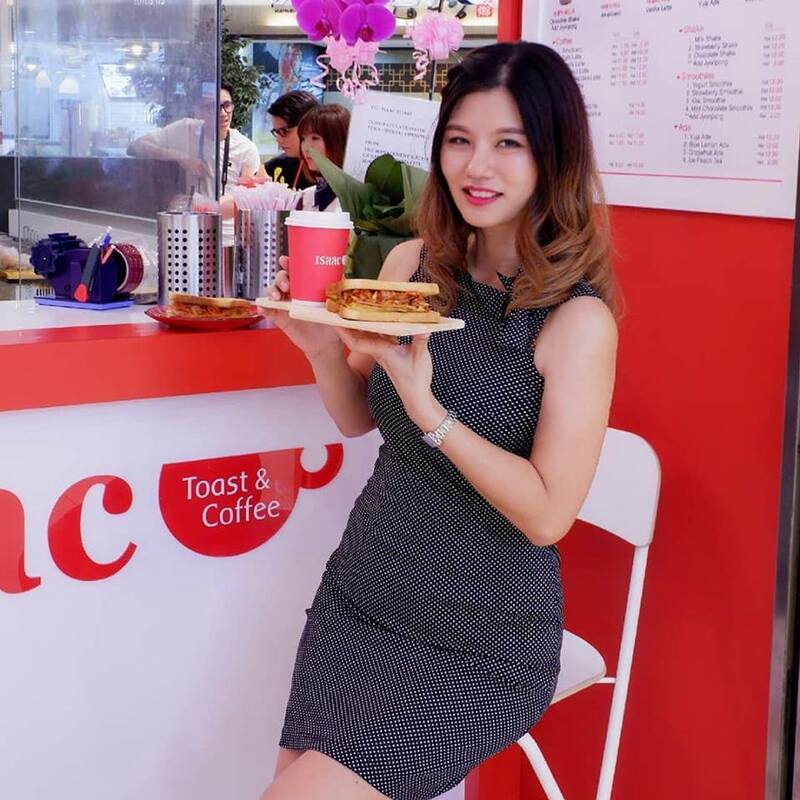 With over 800 stores across South Korea that features melt-in-your-mouth toast with affordable price, Isaac Toast Malaysia has officially opened their third outlet at 1 Utama Shopping Centre on 7 July 2018, a hearty congratulations from us! 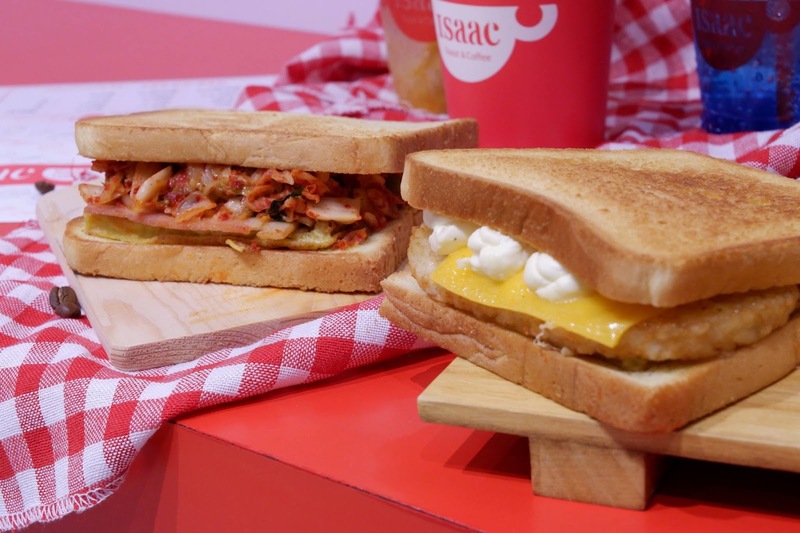 Known as the best sandwich toast chain in South Korea, Isaac Toast is specializes in toasted sandwich with a variety of fillings such as Bacon Cheese, Hot Chicken and Potato Double Cheese. They even have kimchi flavour toasted sandwich, so unique and so yummy. With all the tasty sauce and ingredients wrapped in crispy toast that has been pan fried with special sauce and butter, this is definitely a place for a very satisfying breakfast. The sandwich toast is pretty rich and keep me full for a long time. Isaac Toast & Coffee @ 1 Utama Shopping Centre has a table top with several high chairs, which can be crowded later in the day. Make sure you try their coffee which is pretty good too. 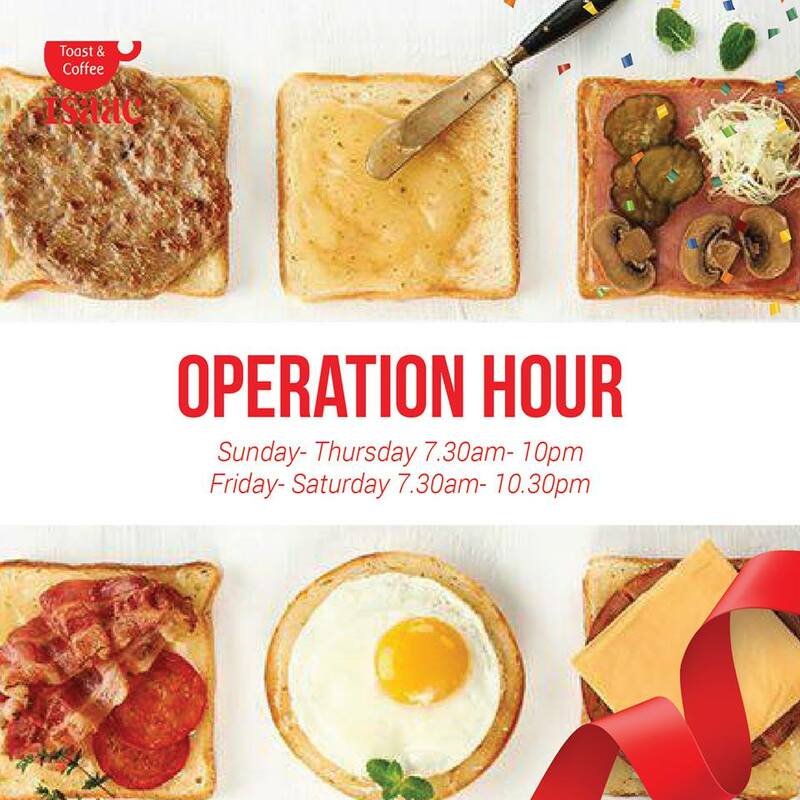 Good news to all of us, in celebration with the grand opening of new outlet at 1 Utama, Isaac Toast is now introducing a 2-day opening promotion on 7th and 8th July 2018. Customers will be served with a free cup of Korean Green Tea with every toast purchased. The promotion is only valid at 1 Utama outlet. Isaac Toast is also launching the Breakfast Set promotion for the early birds. 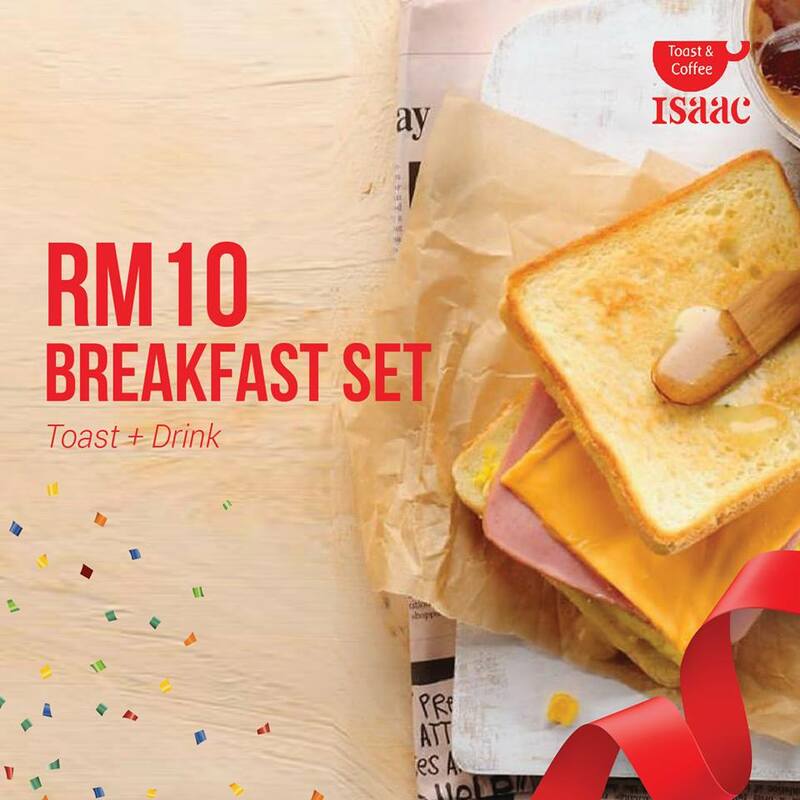 Available from 7.30am to 10am daily, Isaac Toast's Breakfast Set consists of a Ham and Cheese toast with a complimentary YujaTea at only RM10 per set. 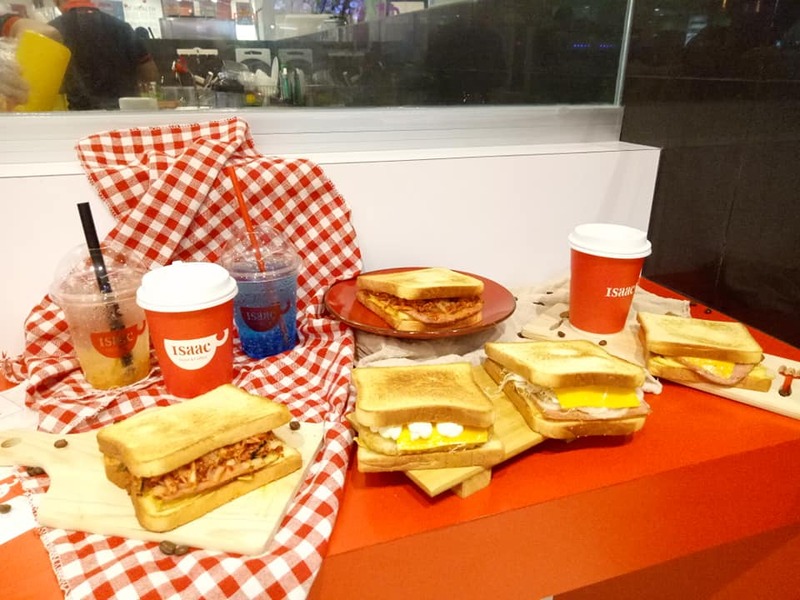 Take a quick bite to kick start your day, only at Isaac Toast 1 Utama. Not a morning person? Don't worry Isaac Toast also has the Combo Set for the rest of the day. Customers get to create their own combo by picking one thirst quenching drink from coffee, ade or tea and one toast, choosing from Potato Double Cheese Special, Kimchi Ham Special, Chicken Bacon Cheese Special, Kimchi Bacon Special or Tuna Special at only RM20. This is such a great deal that is not to be missed! 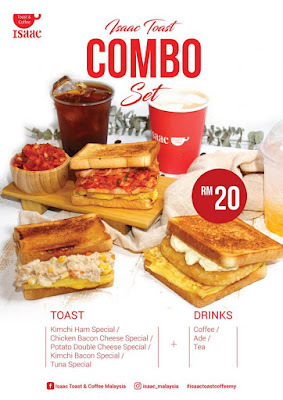 Note: The price stated is not applicable for Isaac Toast & Coffee's gateway@klia2 branch. Now, you know where you should go when you are craving for a warm toasted sandwich and coffee, the Korean style next time. Pay a visit to Isaac Toast & Coffee at 1 Utama today and treat yourself to a bite of the best Korean sandwich. Isaac Toast & Coffee is located at Lot LGK113a, Lower Ground floor of 1 Utama Shopping Centre's Old Wing(nearby SenQ). I like to try their combo set, macam ok wor. 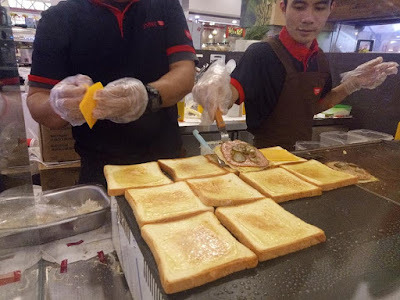 I cari kedai roti macam ni. Rane cafe ni halal tak? Sebab selalu naik flight nak makan macam ni mesti ke mcd dan old town aje. Nanti bleh cuba di klia. Hehehe.